On the sweltering streets of Naples at 11 a.m., a man in a three-piece suit stood devouring what appeared to be a cake made of macaroni. In fact, that’s exactly what it was: “Macaroni frittata” is not immediately what comes to mind when one thinks of Neapolitan cuisine but it is as authentic as the more iconic pizza and “spaghetti alle vongole” (spaghetti with shellfish). 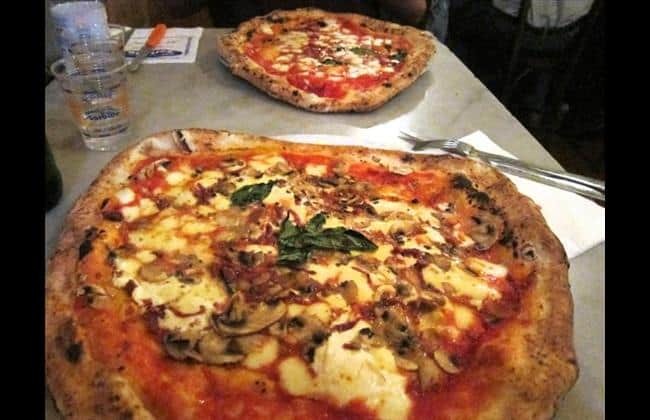 Naples may not be Italy’s most popular destination for tourists, but its cobblestone streets and centuries-old houses with grand wooden doors are legendary among foodies. Located in the southeast of the Italian boot, the city’s cuisine draws from both the rich, country ingredients of its hinterland (called Campania) and the fresh seafood caught along its coast.